During the First World War, there was a nationwide campaign in the United States against the real and imagined divided political loyalties of immigrants and ethnic groups, who were feared to have too much loyalty for their nations of origin. Particular targets were Germans, with sympathies for their homeland, and Irish, whose countrymen were in revolt against America's ally, the United Kingdom. In 1915, President Wilson warned against hyphenated Americans who, he charged, had "poured the poison of disloyalty into the very arteries of our national life." "Such creatures of passion, disloyalty and anarchy", Wilson continued "must be crushed out". The Russian Revolutions of 1917 added special force to fear of labor agitators and partisans of ideologies like anarchism and communism. The general strike in Seattle in February 1919 represented a new development in labor unrest. The fears of Wilson and other government officials were confirmed when Galleanists—Italian followers of the anarchist Luigi Galleani—carried out a series of bombings in April and June 1919. At the end of April, some 30 Galleanist letter bombs had been mailed to a host of individuals, mostly prominent government officials and businessmen, but also law enforcement officials. Only a few reached their targets, and not all exploded when opened. Some people suffered injuries, including a housekeeper in Senator Thomas W. Hardwick's residence, who had her hands blown off. On June 2, 1919, the second wave of bombings occurred, when several much larger package bombs were detonated by Galleanists in eight American cities, including one that damaged the home of Attorney General A. Mitchell Palmer in Washington, D.C. At least one person was killed in this second attack, night watchman William Boehner, and fears were raised because it occurred in the capital. Flyers declaring war on capitalists in the name of anarchist principles accompanied each bomb. In June 1919, Attorney General Palmer told the House Appropriations Committee that all evidence promised that radicals would "on a certain day...rise up and destroy the government at one fell swoop." He requested an increase in his budget to $2,000,000 from $1,500,000 to support his investigations of radicals, but Congress limited the increase to $100,000. An initial raid in July 1919 against an anarchist group in Buffalo, New York, achieved little when a federal judge tossed out Palmer's case. He found in the case that the three arrested radicals, charged under a law dating from the Civil War, had proposed transforming the government by using their free speech rights and not by violence. That taught Palmer that he needed to exploit the more powerful immigration statutes that authorized the deportation of alien anarchists, violent or not. To do that, he needed to enlist the cooperation of officials at the Department of Labor. Only the Secretary of Labor could issue warrants for the arrest of alien violators of the Immigration Acts, and only he could sign deportation orders following a hearing by an immigration inspector. On August 1, 1919, Palmer named 24-year-old J. Edgar Hoover to head a new division of the Justice Department's Bureau of Investigation, the General Intelligence Division (GID), with responsibility for investigating the programs of radical groups and identifying their members. The Boston Police Strike in early September raised concerns about possible threats to political and social stability. On October 17, the Senate passed a unanimous resolution demanding Palmer explain what actions he had or had not taken against radical aliens and why. At 9 pm on November 7, 1919, a date chosen because it was the second anniversary of the Bolshevik revolution, agents of the Bureau of Investigation, together with local police, executed a series of well-publicized and violent raids against the Union of Russian Workers in 12 cities. Newspaper accounts reported some were "badly beaten" during the arrests. Many later swore they were threatened and beaten during questioning. Government agents cast a wide net, bringing in some American citizens, passers-by who admitted being Russian, some not members of the Russian Workers. Others were teachers conducting night school classes in space shared with the targeted radical group. Arrests far exceeded the number of warrants. Of 650 arrested in New York City, the government managed to deport just 43. When Palmer replied to the Senate's questions of October 17, he reported that his department had amassed 60,000 names with great effort. Required by the statutes to work through the Department of Labor, they had arrested 250 dangerous radicals in the November 7 raids. He proposed a new Anti-Sedition Law to enhance his authority to prosecute anarchists. 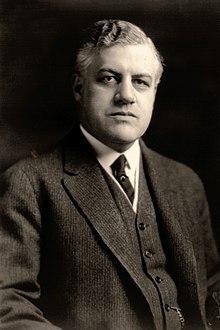 As Attorney General Palmer struggled with exhaustion and devoted all his energies to the United Mine Workers coal strike in November and December 1919, Hoover organized the next raids. He successfully persuaded the Department of Labor to ease its insistence on promptly alerting those arrested of their right to an attorney. Instead, Labor issued instructions that its representatives could wait until after the case against the defendant was established, "in order to protect government interests." Less openly, Hoover decided to interpret Labor's agreement to act against the Communist Party to include a different organization, the Communist Labor Party. Finally, despite the fact that Secretary of Labor William B. Wilson insisted that more than membership in an organization was required for a warrant, Hoover worked with more compliant Labor officials and overwhelmed Labor staff to get the warrants he wanted. Justice Department officials, including Palmer and Hoover, later claimed ignorance of such details. The Justice Department launched a series of raids on January 2, 1920, with follow up operations over the next few days. Smaller raids extended over the next 6 weeks. At least 3000 were arrested, and many others were held for various lengths of time. The entire enterprise replicated the November action on a larger scale, including arrests and seizures without search warrants, as well as detention in overcrowded and unsanitary holding facilities. Hoover later admitted "clear cases of brutality." The raids covered more than 30 cities and towns in 23 states, but those west of the Mississippi and south of the Ohio were "publicity gestures" designed to make the effort appear nationwide in scope. Because the raids targeted entire organizations, agents arrested everyone found in organization meeting halls, not only arresting non-radical organization members but also visitors who did not belong to a target organization, and sometimes American citizens not eligible for arrest and deportation. The Department of Justice at one point claimed to have taken possession of several bombs, but after a few iron balls were displayed to the press they were never mentioned again. All the raids netted a total of just four ordinary pistols. While most press coverages continued to be positive, with criticism only from leftist publications like The Nation and The New Republic, one attorney raised the first noteworthy protest. Francis Fisher Kane, the U.S. Attorney for the Eastern District of Pennsylvania, resigned in protest. In his letter of resignation to the President and the Attorney General he wrote: "It seems to me that the policy of raids against large numbers of individuals is generally unwise and very apt to result in injustice. People not really guilty are likely to be arrested and railroaded through their hearings...We appear to be attempting to repress a political party...By such methods, we drive underground and make dangerous what was not dangerous before." Palmer replied that he could not use individual arrests to treat an "epidemic" and asserted his own fidelity to constitutional principles. He added: "The Government should encourage free political thinking and political action, but it certainly has the right for its own preservation to discourage and prevent the use of force and violence to accomplish that which ought to be accomplished, if at all, by parliamentary or political methods." The Washington Post endorsed Palmer's claim for urgency over legal process: "There is no time to waste on hairsplitting over infringement of liberties." In a few weeks, after changes in personnel at the Department of Labor, Palmer faced a new and very independent-minded Acting Secretary of Labor in Assistant Secretary of Labor Louis Freeland Post, who canceled more than 2,000 warrants as being illegal. Of the 10,000 arrested, 3,500 were held by authorities in detention; 556 resident aliens were eventually deported under the Immigration Act of 1918. At a Cabinet meeting in April 1920, Palmer called on Secretary of Labor William B. Wilson to fire Post, but Wilson defended him. The President listened to his feuding department heads and offered no comment about Post, but he ended the meeting by telling Palmer that he should "not let this country see red." Secretary of the Navy Josephus Daniels, who made notes of the conversation, thought the Attorney General had merited the President's "admonition", because Palmer "was seeing red behind every bush and every demand for an increase in wages." Palmer's supporters in Congress responded with an attempt to impeach Louis Post or, failing that, to censure him. The drive against Post began to lose energy when Attorney General Palmer's forecast of an attempted radical uprising on May Day 1920 failed to occur. Then, in testimony before the House Rules Committee on May 7–8, Post proved "a convincing speaker with a caustic tongue" and defended himself so successfully that Congressman Edward W. Pou, a Democrat presumed to be an enthusiastic supporter of Palmer, congratulated him: "I feel that you have followed your sense of duty absolutely." On May 28, 1920, the nascent American Civil Liberties Union (ACLU) published its Report Upon the Illegal Practices of the United States Department of Justice, which carefully documented unlawful activities in arresting suspected radicals, illegal entrapment by agents provocateur, and unlawful incommunicado detention. Such prominent lawyers and law professors as Felix Frankfurter, Roscoe Pound and Ernst Freund signed it. Harvard Professor Zechariah Chafee criticized the raids and attempts at deportations and the lack of legal process in his 1920 volume Freedom of Speech. He wrote: "That a Quaker should employ prison and exile to counteract evil-thinking is one of the saddest ironies of our time." The Rules Committee gave Palmer a hearing in June, where he attacked Post and other critics whose "tender solicitude for social revolution and perverted sympathy for the criminal anarchists...set at large among the people the very public enemies whom it was the desire and intention of the Congress to be rid of." The press saw the dispute as evidence of the Wilson administration's ineffectiveness and division as it approached its final months. In June 1920, a decision by Massachusetts District Court Judge George Anderson ordered the discharge of 17 arrested aliens and denounced the Department of Justice's actions. He wrote that "a mob is a mob, whether made up of Government officials acting under instructions from the Department of Justice, or of criminals and loafers and the vicious classes." His decision effectively prevented any renewal of the raids. Palmer, once seen as a likely presidential candidate, lost his bid to win the Democratic nomination for president later in the year. The anarchist bombing campaign continued intermittently for another twelve years. ^ Shepley, Nick (2015). The Palmer Raids and the Red Scare: 1918-1920: Justice and Liberty for All. Andrews UK Limited. pp. 18–19. ISBN 978-1-84989-944-4. ^ Coben, 219–21; Post, 28–35. Post says 11 cities. ^ "Miners Finally Agree" (PDF). The New York Times. December 11, 1919. Retrieved June 11, 2014. ^ Report Upon the Illegal Practices of the United States Department of Justice. National Popular Government League. 1920. ^ Chafee, 197, ch. 5 "Deportations"
Dunn, Robert W. The Palmer Raids. New York: International Publishers. 1948. This page is based on the Wikipedia article Palmer Raids; it is used under the Creative Commons Attribution-ShareAlike 3.0 Unported License (CC-BY-SA). You may redistribute it, verbatim or modified, providing that you comply with the terms of the CC-BY-SA.